From one powerful smartphone to another, Samsung has officially launched their newest flagship phone - the Samsung Galaxy S5 - here in the Philippines together with other 125 countries around the world. This proves that our country is considered to be a priority by the said smartphone manufacturer. In addition, they have also launched smart watches called Gear 2, Gear 2 Neo, and Gear Fit. 2-megapixel front camera - taking selfie's is no problem! The new Galaxy S5 has a 5.1-inch Full HD Super AMOLED display, slightly larger compared to its predecessor that had a 5-inch display. The screen’s resolution is at 1920 x 1080 with a 432 ppi, which means more vivid colors on screen. It also has an intelligent Adaptive Display that allows the screen disply to auto adjust depending on your surrounding lighting conditions (e.g. indoors or outdoors) and an extra low dimming mode which can come in handy if you’re in a dark room. Galaxy S5 has a 16-megapixel rear-facing camera with a larger image sensor, allowing the camera to capture more light. Meanwhile, a 2-megapixel front-facing camera is an improvement from before. Auto-focus speed has been increased to instantly capture moving moments which is three times (3x) faster than the auto-focus found on the Galaxy S4. In addition, DSLR camera-like features were also added: “selective focus” feature, allowing shooting of photos with different depth of field; HDR (Rich Tone) mode creating HDR-enhanced photos or videos. 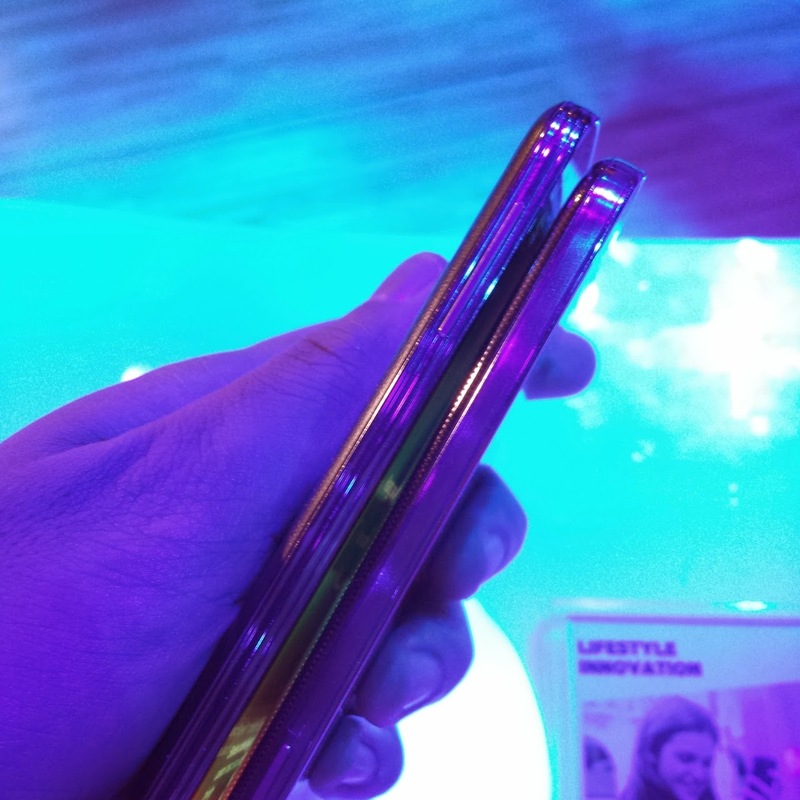 In addition to the 2800 mAh removable battery, Samsung also added a new “ultra power saving” mode to help conserve the phone’s battery life by shutting down all unnecessary features to dramatically minimize battery consumption. 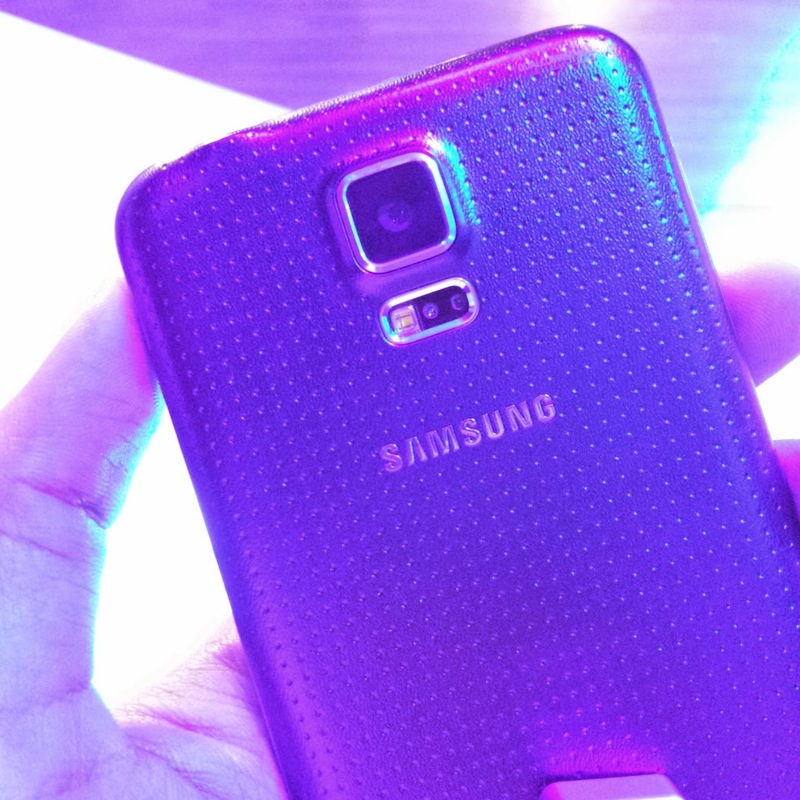 A far difference from the Galaxy S4 is the leather-like cover of the Galaxy S5. It comes in four different color options: shimmery WHITE, charcoal BLACK, copper GOLD, and electric BLUE. The phone is also IP67-certified dust and water resistant, covering all ports for added protection. The S Health app is also now integrated with a heart-rate monitor right under the camera sensor at the back of the phone. 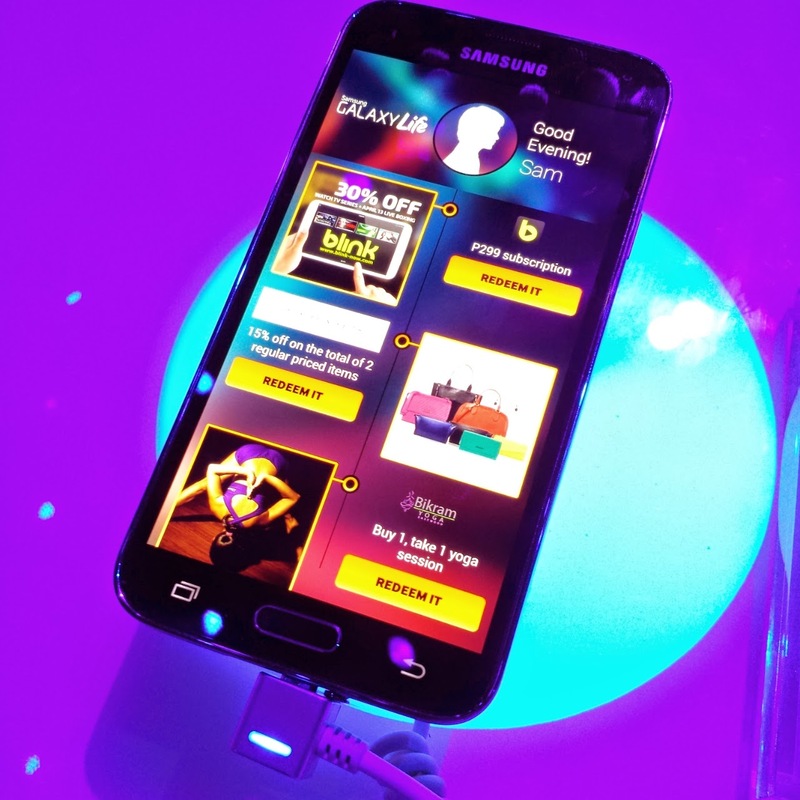 The Galaxy S5’s download booster technology enables the pairing of WiFi with the LTE cellular connection simultaneously to maximize overall download speeds if necessary. There’s an integrated fingerprint reader above the home button. This allows a user to unlock the phone for more security and also pay for services through PayPal with the swipe of a finger. 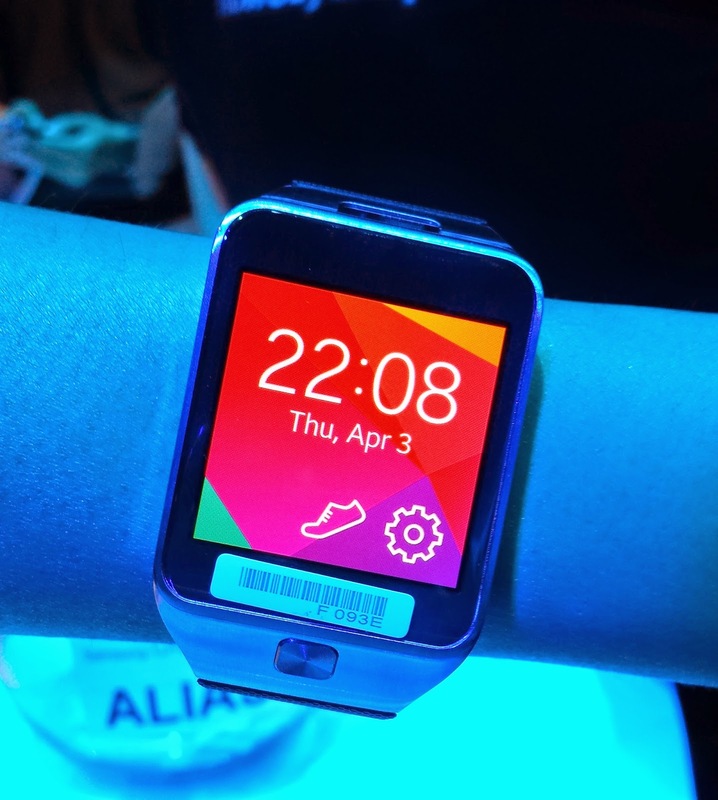 This is the new Gear 2, an upgrade from the first Samsung Galaxy Gear smartwatch launched last year. It is now slimmer without the protruding camera. Its 2-megapixel camera is now built-in on to the watch as compared to before where it's on the strap. 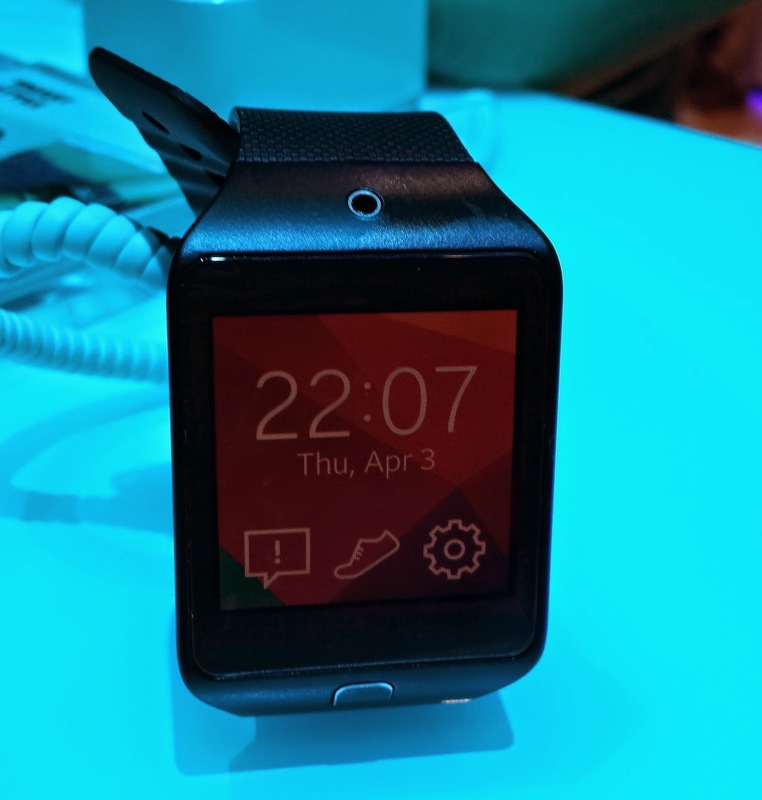 The Gear 2 Neo, on the other hand, is the cheaper version compared to Gear 2. It has a plastic frame as compared to the Gear 2 with steel. It doesn't have a camera, but other than that works very similar as Gear 2. Both the Gear 2 and Gear 2 Neo come with 1GHz dual-core processor, which is tad faster than last year's release. It features a 4GB internal storage and comes with a built-in heart rate sensor, pedometer, gyroscope and accelerometer for tracking of stats while walking, cycling, running, hiking, etc. What's cool about the two watches is that their bands can be interchanged with any 22-mm strap in the market. By the default, the Gear 2 comes in either charcoal black, gold brown or wild orange. Meanwhile, the Gear 2 Neo ships in charcoal black, mocha grey, and wild orange. Sports-enthusiasts will have a new friend in Gear Fit. It's very useful in tracking sports-related activities like steps, heart-rate, etc. 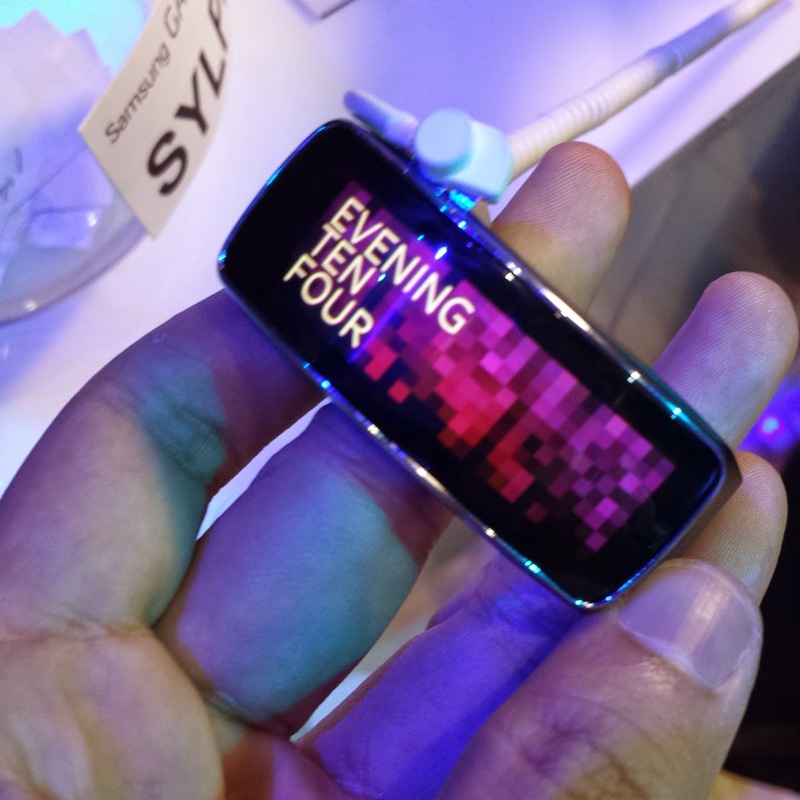 Unlike the Gear 2 and Gear 2 Neo, though, storage of music files into the Gear Fit is not possible. Viewing on the Gear Fit can be portrait or otherwise. It also has asks the user whether the watch is worn on the left or right wrist, so it can adjust automatically to fit the need. Brightness can also be adjusted as necessary.